Through our performances with Allegrodance local children in these areas are able to experience dance and performance for the first time. For a lot of these children it is their vital link with the arts and theatre. It is also a wonderful experience for the students to engage with the mix of audiences. In some cases coach and in others produce pieces of choreography as part of their contextual studies. At KS Dance we recognise that many people in our society experience discrimination or lack of opportunity for reasons which are not justified. We challenge discrimination and lack of opportunity and help individuals to do the same. 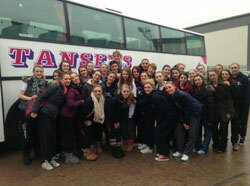 We actively seek to engage with all children and student groups through The Allegrodance Touring Company. KS Dance Allegrodance Touring Company performed at the 100th Anniversary of Alder Hey Hospital, in Liverpool, on 19th & 20th July 2014. This helped raise money for new projects at the hospital and to inspire and create joy for the patients and their families of Alder Hey. 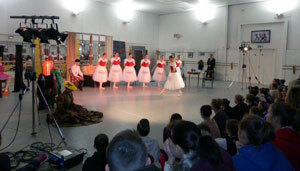 The performances included our Hip-Hop fusion and excerpts from the Ballet A Midsummer Night’s Dream. The weekend was hugely successful. Children of Alder Hey hospital were able to have their pictures taken with all the fairies.